Current silicon-based transistor devices like processors and microcontrollers rely on the charge of electrons and using transistor as gate to turn on or off and make thousand, millions or perhaps trillions this operation in second to process data , but many researchers are looking at new material other than silicon has managed to boast the top performance specs in the field of transistors, and find that graphene and Carbon nanotube transistors (CNTs) could become main material for transistor production. But researchers and scientists do not search for new materials only but for new ways to manipulate electrons based on other variables as spintronics or fluxtronics. 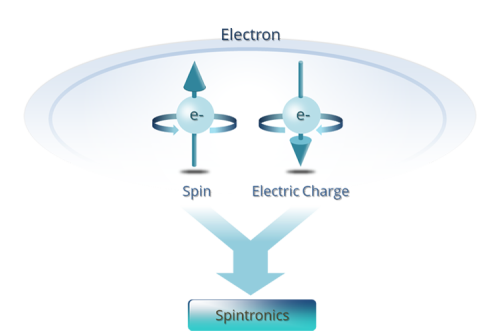 is the study of the intrinsic spin of the electron and its associated magnetic moment, in addition to its fundamental electronic charge and modify it by in that spins are manipulated by both magnetic and electrical fields ) spin in solid state physics and possible devices that specifically exploit spin properties instead of or in addition to charge degrees of freedom. 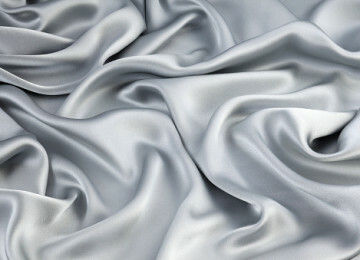 For example, spin relaxation and spin transport in metals and semiconductors are of fundamental research interest not only for being basic solid state physics issues but also for the already demonstrated potential these phenomena have in electronic technology, The prototype device that is already in use in industry as a read head and a memory storage cell is the Giant-MagnetoResistive (GMR) . 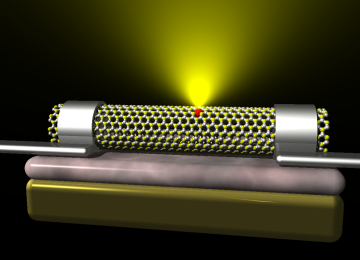 And now American researchers from Pennsylvania State University lead by Associate Professor Jun Zhu, have developed a device made of bilayer graphene which provides experimental proof of the ability to control the momentum of electrons. Published in the journal Nature Nanotechnology, the study is one step forward in a new field of physics called valleytronics. Researchers explain that electrons as cars and the valley states as blue and red colors. 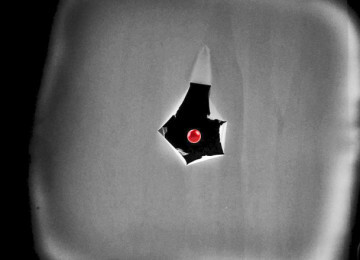 Inside a sheet of bilayer graphene, electrons will normally occupy both red and blue valley states and travel in all directions. The new tech working on make the red cars go in one direction and the blue cars in the opposite direction. 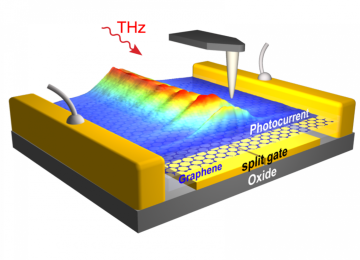 The system that created put a pair of gates above and below a bilayer graphene sheet then add an electric field perpendicular to the follow, by applying a positive voltage on one side and a negative voltage on the other, a bandgap opens in bilayer graphene, which it doesn’t normally have. In the middle, between the two sides, they leave a physical gap of about 70 nanometres. inside this gap lives one-dimensional metallic states, or wires, that are color-coded freeways for electrons. The red cars running in one direction and the blue cars running in the opposite direction. In theory, colored electrons could travel undisturbed along the wires for a long distance with very little resistance. Smaller resistance means less in power consumption in electronic devices and low heat is generated. They are not yet resistance-free, and researchers doing more efforts and experiments to understand where resistance might come from, and also trying to build valves that control the electron flow based on the color of the electrons. And researchers perhaps can add this tech to tunnel transistors are the most promising to solve problem power consumption it designs for a tunnel transistor based on bilayer graphene also, and using modeling, they proved that this material is an ideal platform for low-voltage electronics. because of it unlike conventional transistors, in which electrons “jump” through the energy barrier, in tunnel transistors, the electrons “filter” through the barrier via the quantum tunneling effect. However, in most semiconductors, the tunneling current is very small, preventing transistors that are based on these materials from being used in real circuits.